Spacesaver’s law enforcement weapons storage systems are engineered and manufactured in the USA to help keep weapons secure, organized, and accessible. 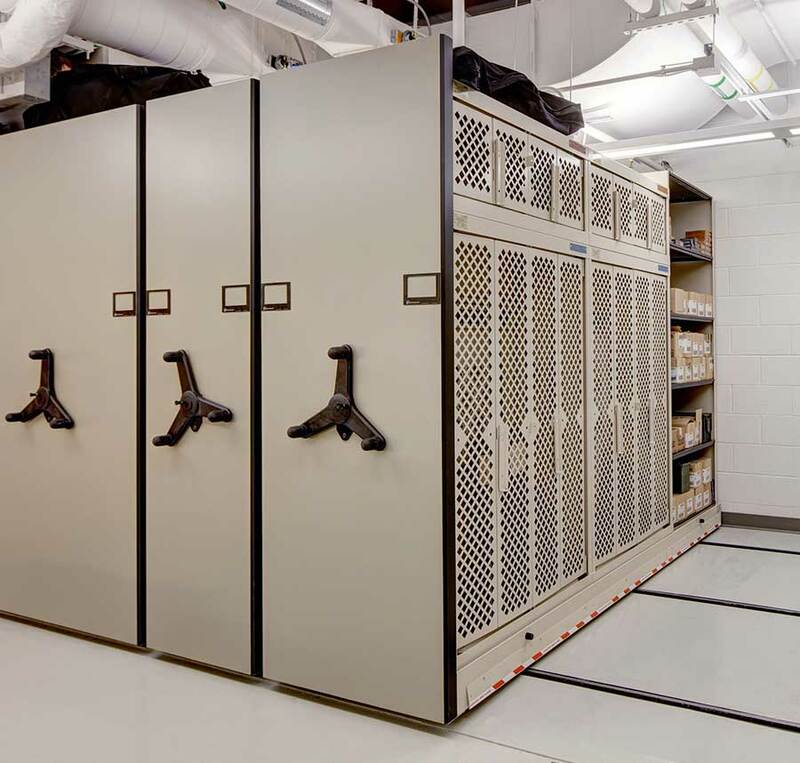 We specialize in helping our clients design secure systems that have room to grow, so be sure to consider these space-saving options while your new facility is still in the early planning phases. 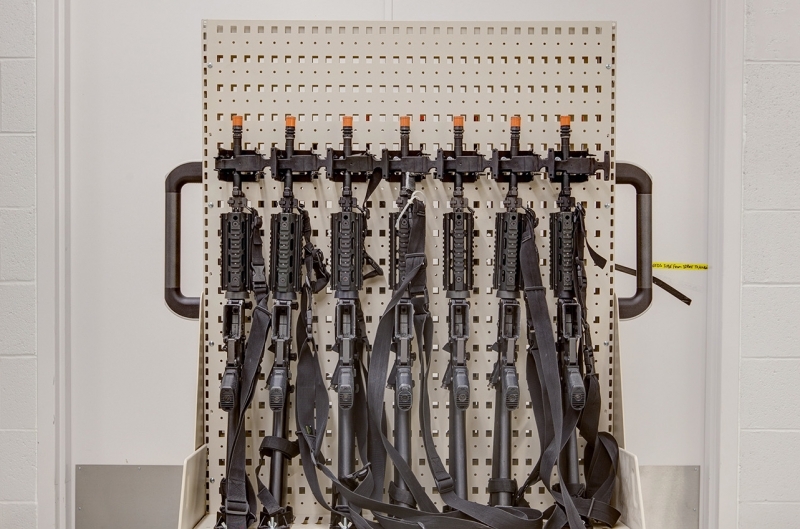 Our industry-leading weapons racks can be configured to accommodate a variety of weapons in a small space. Save even more space by loading the racks onto a Spacesaver high-density storage system that rolls on rails. 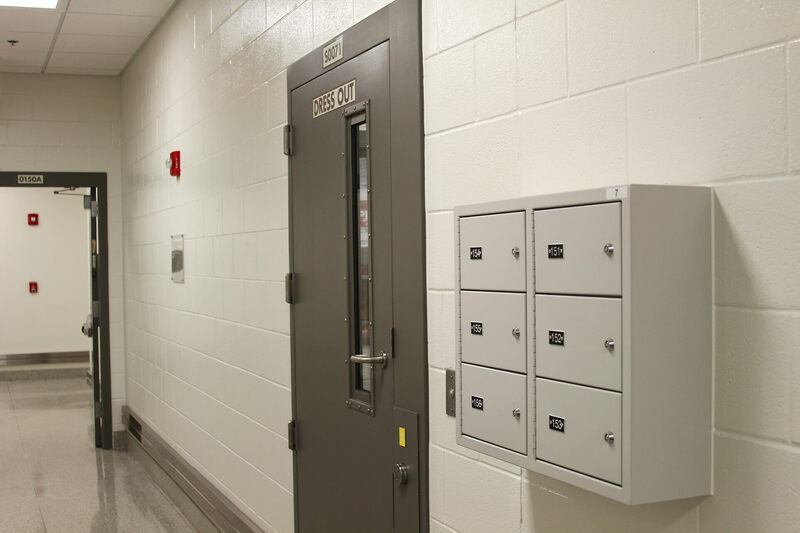 Our sally port lockers and other wall-mounted gun lockers offer sturdy, secure handgun storage in hallways, common areas, and other locations throughout law enforcement facilities. Choose from a variety of configurations and locking options to suit any requirement. Our modular weapons storage system can be configured with a variety of components to efficiently accommodate rifles, pistols, and other weapons and gear. The systems can be mounted on a wall or installed in a Universal Weapons Rack or on a cart. Get a free space assessment.